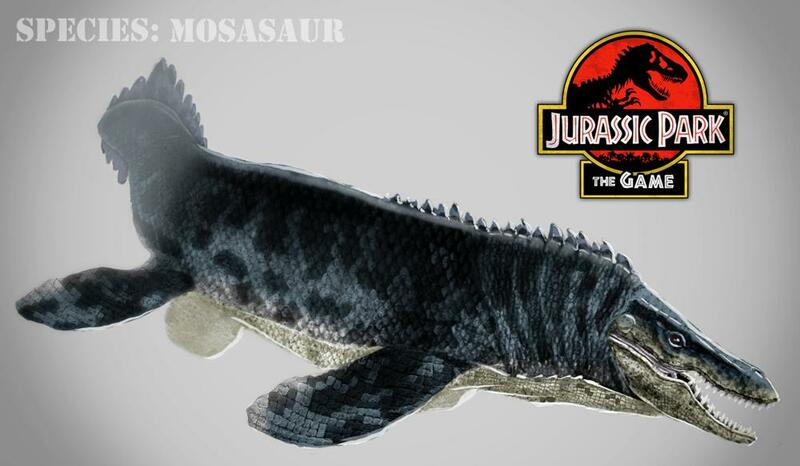 Considered one of the largest of Mosasaurs, Tylosaurus or “knob lizard” is a marine reptile and not a dinosaur. Tylosaurus is related to the monitor lizards and snakes of today. Tylosaurus was 15 meters (49 feet+) in length and lived during the Late Cretaceous period about 88 to 80.5 million years ago. It was the dominant predator of the Western Interior Seaway. The most recognizable trait of Tylosaurus is the cylindrical snout which the animal is named after. 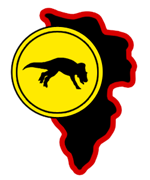 It could have been used to ram and stun potential prey items and may have also been useful in intraspecific combat. Stomach contents have been found with Tylosaurus, showing they had a varied diet ranging from fish, sharks, smaller mosasaurs, flightless diving birds like Hesperornis, and plesiosaurs. Tylosaurus was originally found by Edward Drinker Cope in 1869 and after a complex taxonomic history was named by Othniel Charles Marsh in 1872. On Isla Nublar, Tylosaurus is simply referred to as Mosasaur, but in the InGen Field Guide it has Tylosaurus listed in Dr. Sorkin‘s notes that were included. Sorkin planned on releasing the Tylosaurus that InGen recreated into the outside world when she found out the island was going to be bombed. The Tylosaurus ended up breaking containment and killing Dr. Sorkin in the end. 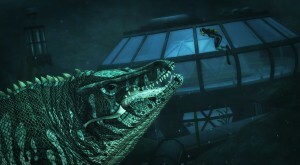 With Gerry, Jess, and Nima trapped in the Marine Facility they found a way to escape by sneaking around the Tylosaur.